Inspired by art photography that I have seen. 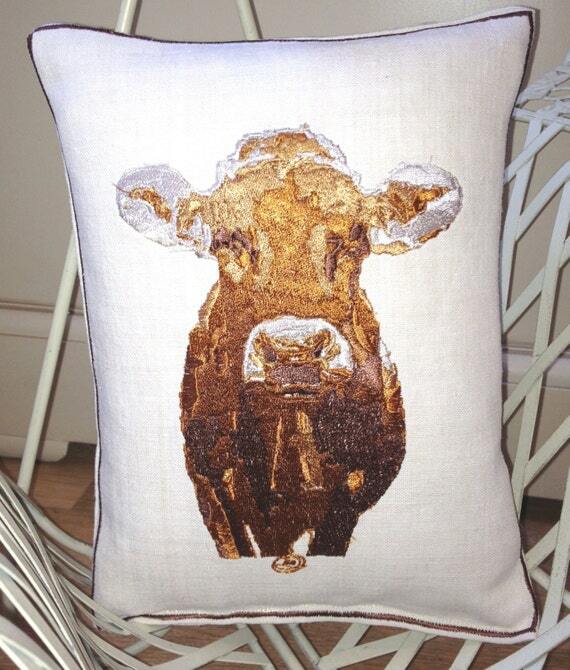 I have designed and produced Cordell the Cow with shades of browns and Creams. 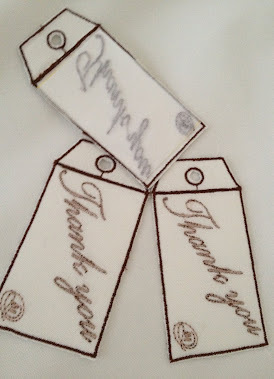 Can be produced in alternative colour scheme as a custom order ( Convo me). Creating textured art with dark and bright colour contrasts that merge together to draw our eye to the gorgeous throw cushions. 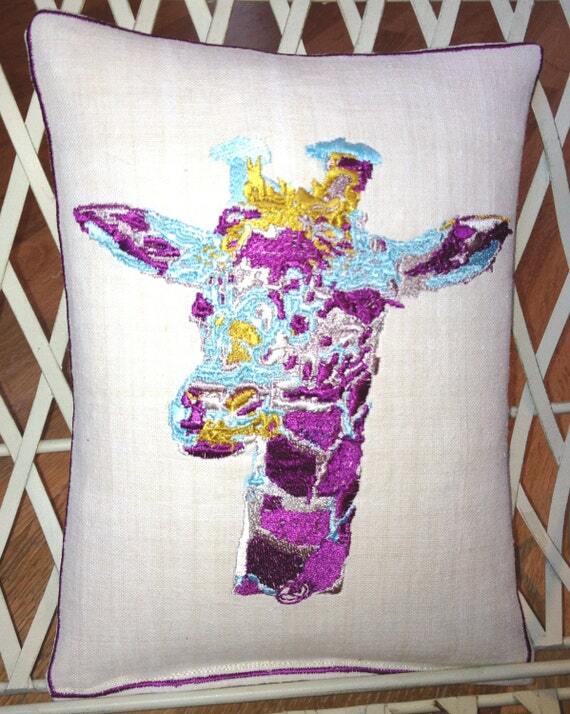 Giselle the Giraffe design is now available. Vintage Linen quality material with vivid embroidery in Shades of browns and Creamy Silvers. The Chocolate Brown embroidered Boarder all the way around gives it a luxury finish. 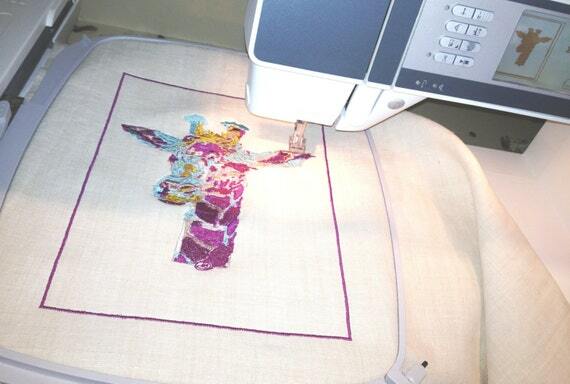 Over 43,200 stitches and signed LMD in the design. Inspired by art photography that I have seen. 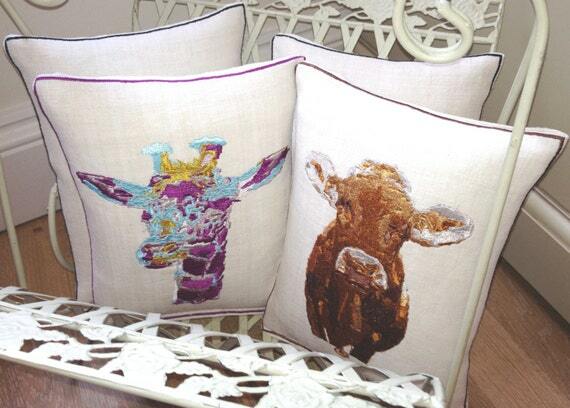 I have designed and produced Giselle the Giraffe with Pinks, Purples, Golds and Turquoises. 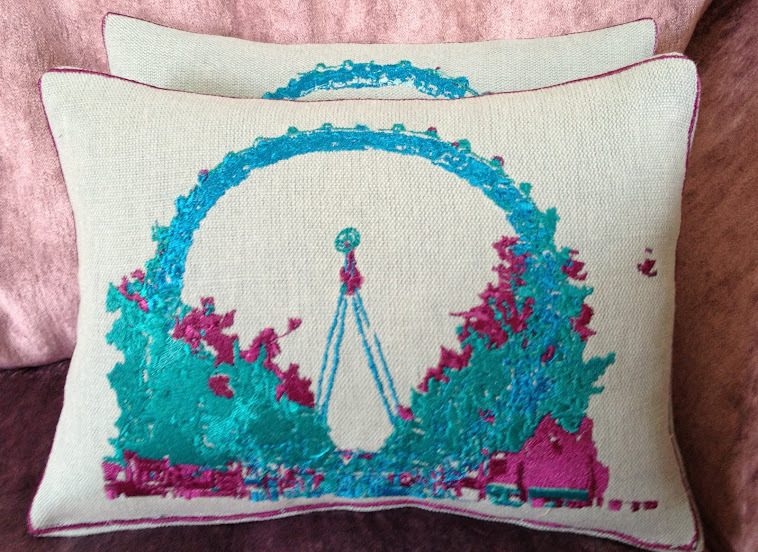 Can be produced in alternative colour scheme as a custom order ( Convo me). Creating textured art with dark and bright colour contrasts that merge together to draw our eye to the gorgeous throw cushions. Cordell the Cow design is now available. 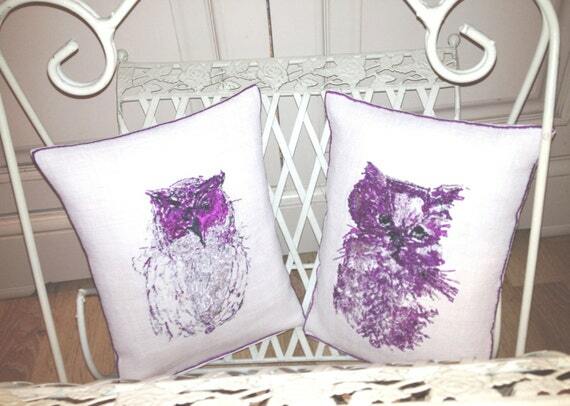 Vintage Linen quality material with vivid embroidery in Purples/Pinks and Turquoise/Silvers. 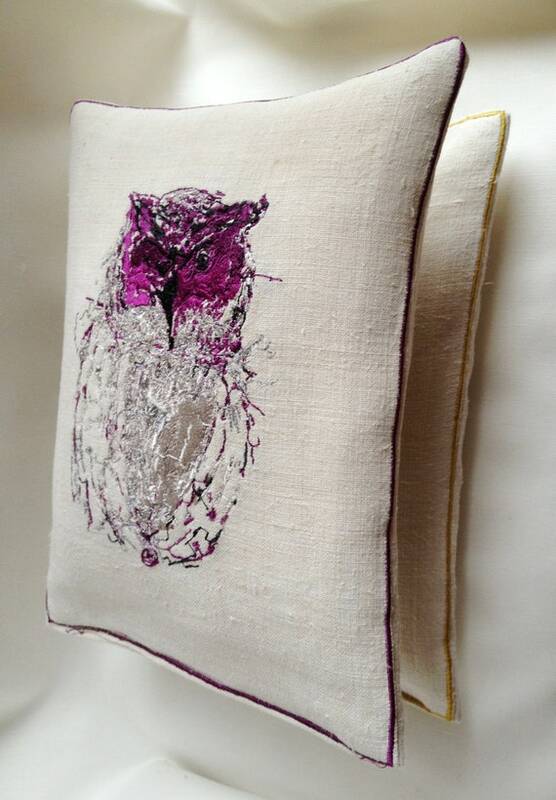 The Purple embroidered Boarder all the way around gives it a luxury finish. 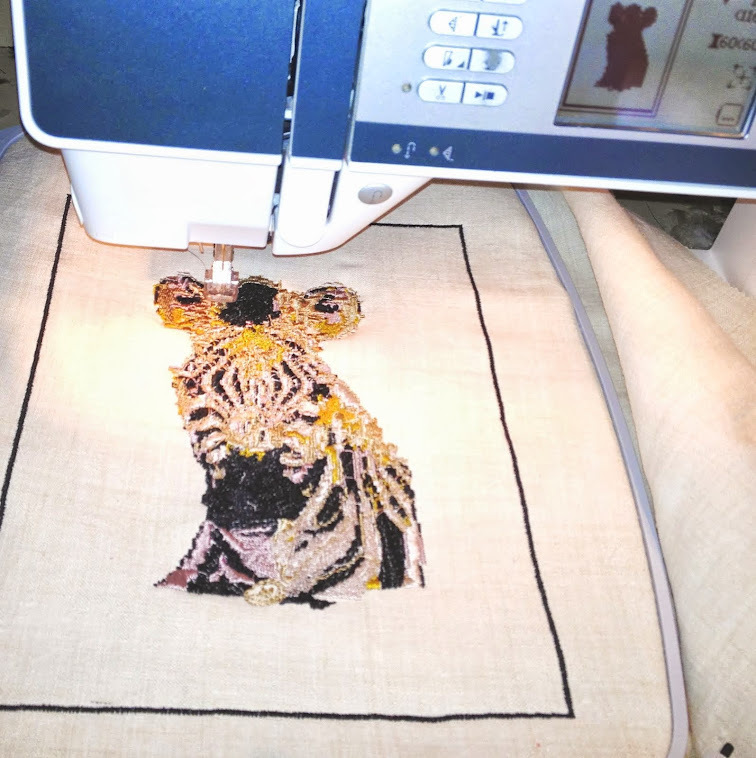 Over 45,300 stitches and signed LMD in the design. Inspired by art abstracts that I have seen. 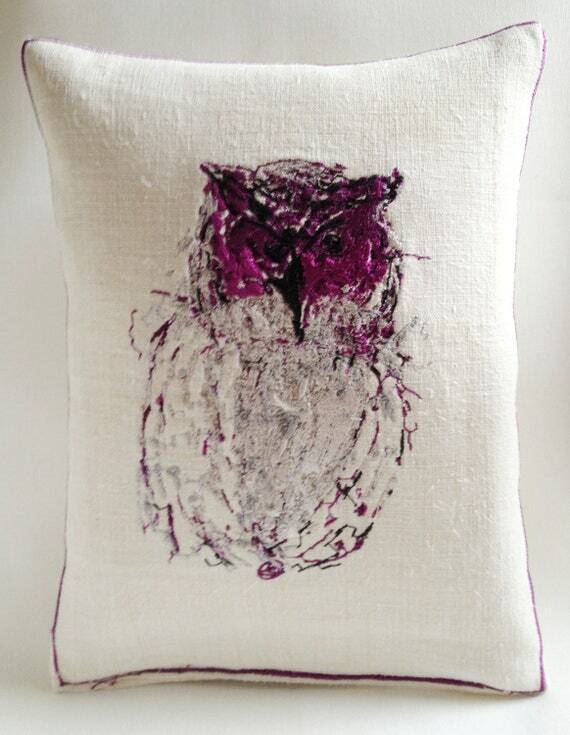 I sketched Tatty Owl with Pinks, Purples and Yellows in mind, but I had some great Creamy Silvery and Purple threads. Creating textured art with dark and bright colour contrasts that merge together to draw our eye to the gorgeous throw cushions. 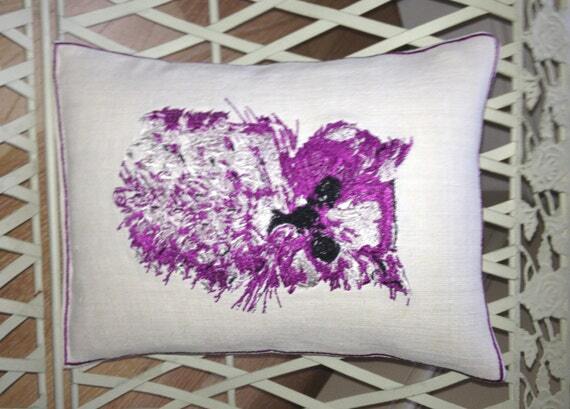 Scatty Kitty design has now followed, in the same Purple and Silver Pallet.